Taking notes and jotting down ideas in a meeting has never been so exciting. 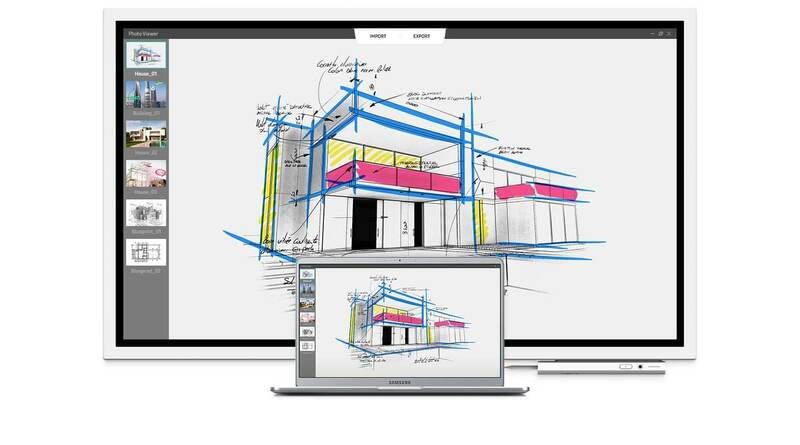 Built with writing in mind the Samsung Flip can be used simultaneously by 4 people using any object as a writing tool. Making sure that you enjoy the familiar feel of traditional pen-to-paper writing with a few added extras including a variety of colours, styles and widths. 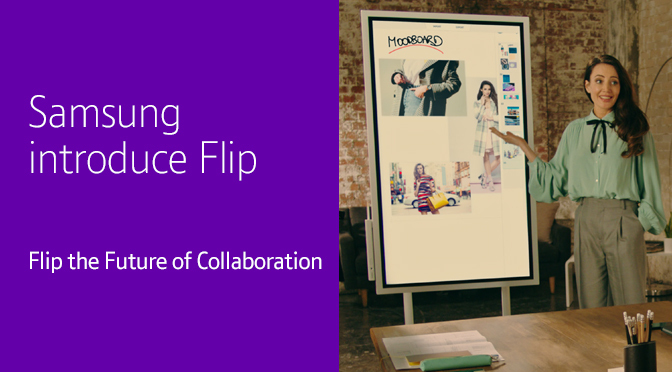 Collaborating with your team is second nature with a Samsung Flip in the meeting. Easily adjust to any style of room without sacrificing comfort. The versatile pivot mode and ergonomic stand mean that Flip can configure to portrait or landscape orientation, whichever suits your needs. The sleek grey design presents itself as sophisticated and forward thinking. The Flip utilises a 4.5° tilt in portrait mode for easy writing and viewing. With a spacious front tray and perfectly positioned pen holder, you and your team can stay comfortable and organised. So you don’t have to wait around simply approach the screen and the proximity sensor will automatically activate the screen. Either pick up where you left of or start a new session, Flip is backed by the powerful TIZEN 3.0 operating system, making sure you can save all your work without a glitch. Not sure if the Samsung Flip will fit in with your company and people? Samsung are so confident that you will love this product they are offering a 100 day money back guarantee. If you are not fully satisfied with the Flip then you can claim your money back so why not try out this fantastic piece of kit today. 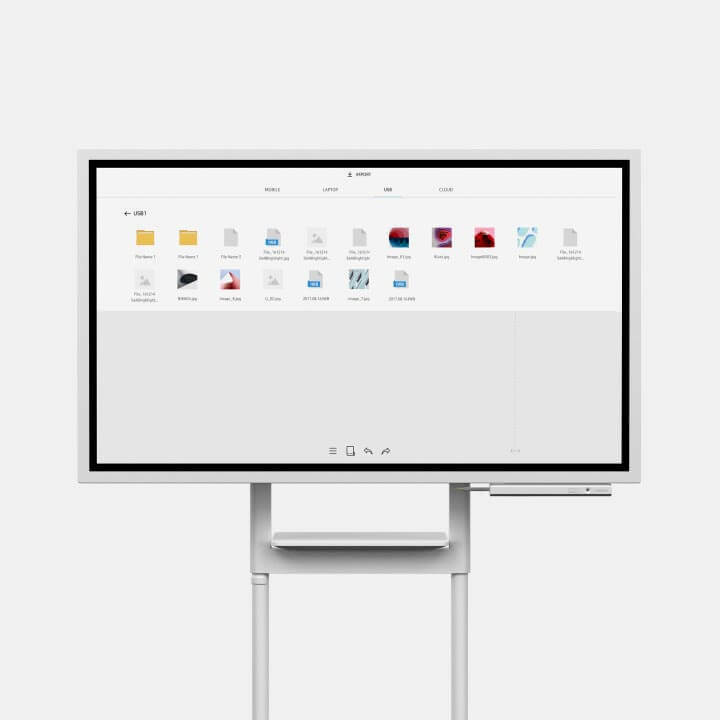 For more details on the Samsung Flip visit our website or call our experienced IT specialists on 0870 429 3010 to learn more about what the Samsung Flip can do for you. 1. The promotion is running from 1st May and 31st December. 2. Once you have purchase one of the participating models (LH55WMHPTWC/EN or STN-WM55H) you must register with Samsung to get an authorisation code. 4. For full details on the promotion and the Terms and Conditions from Samsung please visit Samsung.